The T190 ink cartridge's dye based ink fully utilizes the highly reflective nature of dyes, resulting in a wide visible color gamut for more accurate and vivid color reproduction. With 100 per cent dye as its colourant, what more could you expect from the T190 ink cartridge. 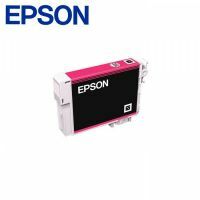 Epson Expression ME T190 Ink (C13T190490) The T190 ink cartridge's dye based ink fully utilizes the highly reflective nature of dyes, resulting in a wide visible color gamut for more accurate and vivid color reproduction. With 100 per cent dye as its colourant, what more could you expect from the T190 ink cartridge. Our compatible Epson 190 Yellow Ink Cartridge is manufactured in an ISO-9001 certified factory with high quality standards that meets the performance of the OEM Epson C13T190390 Yellow Ink Cartridge. The compatible Epson T190 Yellow Ink Cartridge refill delivers superb quality black text documents and sharp images that satisfies your needs for frequent printing at low cost. You only need to replace the color you use, saving you time, hassle and providing a cost effective solution. Epson's range of dye ink cartridges/ produce vibrant and rich colours. Epson's dye inks are quick drying/ which contribute to a perfect balance between print speed and print quality. 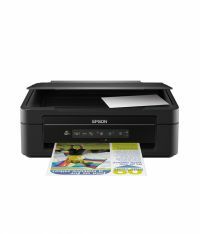 To Recieve updates and possible rewards for Epson ME T190 Ink Yellow please sign in. To Recieve updates and possible rewards for Printer Cartridge, Ink & Toner please sign in.